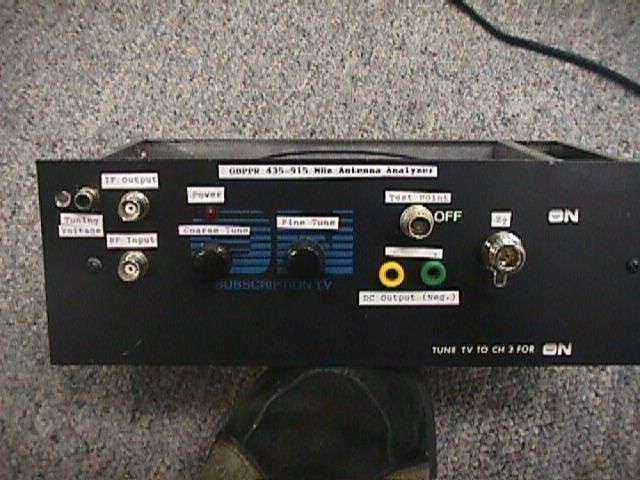 This analyzer is based around an old UHF VCR tuner. It works by tapping the local oscillator inside the VCR tuner to then feed a return loss bridge, which is hooked to your antenna system. 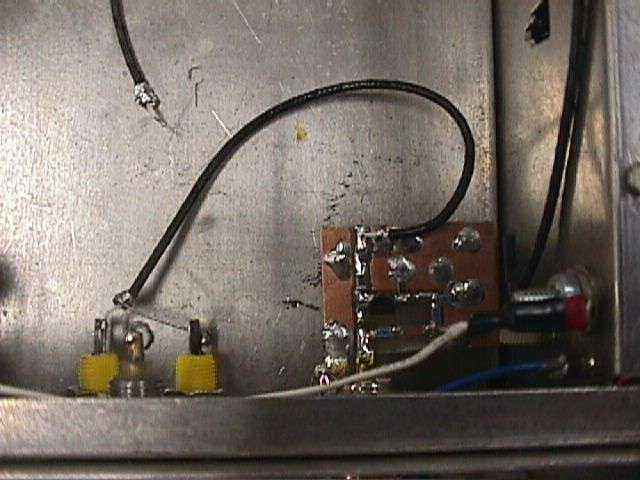 This will allow you to verify the performance and impedance match of you antenna system. This particular setup will analyze antennas from 436 to 920 MHz. The actual range will vary with the VCR tuner used. 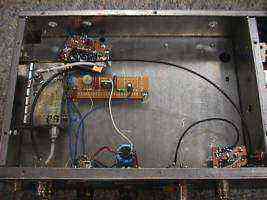 Internal view of the RF power amplifier for the VCR tuner's oscillator point. 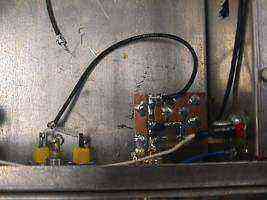 This is an old NEC MC5157 cable TV amplifier module with 24 dB gain from 30 to well over 900 MHz. 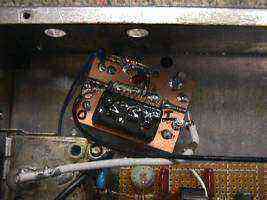 Picture of the integrated return loss bridge.